Today, I am wearing one of my favorite pairs of shoes, my Miranda shoes. No, Miranda is not a famous designer of footwear, although she might grow up to be one someday. Miranda is a former student of mine, and the shoes, a constant reminder for me to pray for her. Let me explain. Miranda was an excellent student and learning came easy for this energetic, independent 3rd grader. Easy in every subject except Math, that is. For some reason, Miranda struggled with mathematical concepts. The only thing that came easy for Miranda during Math class was frustration! So, at the first parent-teacher conference of the school year, I offered to tutor Miranda each day after school, at no cost to the family. Her mother willingly accepted my invitation, and the tutoring began. The school year flew by quickly and I was proud of the progress Miranda had made. At an Educational Fair held the final week of school, I was approached by Miranda's grandmother. She gently squeezed my arm, smiled, and handed me an envelope. Then, she slipped into the crowd gathered in the gym to view the various projects and exhibits on display. That evening, I opened the envelope to find a beautiful, handwritten note thanking me for tutoring her precious granddaughter. To further show her appreciation, she had enclosed a check. A few months later, while shopping at a local mall, I came across a pair of black shoes. I had been wanting to replace my old ones and these were just what I had been looking for. I tried them on and they fit perfectly. There was only one problem. Our budget was tight and I didn't have any extra money to spend on them. Then, I remembered Miranda and the generosity of her grandmother. Months earlier, when I had cashed her check, my husband had told me to tuck the money into a "hidden" place in my wallet so it would be there when I wanted to buy something special. Money in hand, I headed to the check out counter. As I waited in line to purchase my shoes, I thanked God for the money I had received. Then, I smiled and prayed a special prayer just for Miranda. These shoes, in a round about way, had brought Miranda to my mind and a prayer for her to my lips! At that moment, I purposed in my heart to say a prayer for Miranda each and every time I put on my "Miranda shoes". I also purposed to pray for others in my life, every time I saw something that made me think of them. How many times has something in your day made you think of a family member or a close friend? While driving to work you see a car that looks identical to the one your friend drives. While eating at a restaurant, your waitress has the same name as your Aunt. While watching the evening news, you hear the name of the town your friend lives in. Are these simply coincidences? I don't think so. God has given us the unique privilege and the awesome responsibility to pray for others. So, this morning as I put on my Miranda shoes, I prayed for precious Miranda. 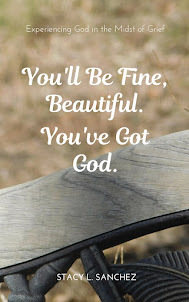 A couple of days ago, when I received an email from a special friend, I prayed for her. This morning, when I saw a little girl who reminded me of my own sister at that young age, I prayed for her. Yesterday, while shopping for groceries, I saw a pregnant lady, and prayed for a friend of mine who is expecting a little one of her own. How humbling and exciting to remember that our God can use ordinary things in our lives to do extraordinary things in the lives of others when we allow ourselves to be used by Him to pray for someone in need. Today, why not purpose in your heart to pray whenever God chooses to use you?